The Latest Innovation from Industry Leader SugarCRM Delivers a Range of Improvements to Simplify Collaboration, Reporting and Sales Efficiency. 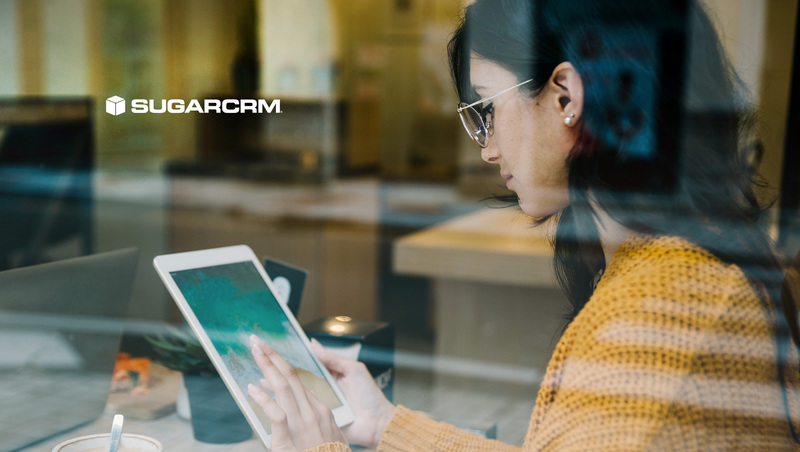 SugarCRM Inc., the company that helps global organisations build better business relationships, has announced new customer-driven improvements to its core Customer Relationship Management (CRM) application, as well as its industry-leading Customer Journeys. SugarCRM’s latest release builds on its ongoing commitment to delivering simple, easy to use, innovative tools, enabling companies to strengthen existing relationships and create new ones. Rich Green, chief product officer and CTO at SugarCRM, said: “When it comes to business success, understanding customers is key. At SugarCRM we’ve always focused on helping our customers to develop better business relationships. To build those relationships and stay relevant in the eyes of their customers, businesses need to pay close attention to what their customers’ behaviour is telling them. Collaboration – Included in Winter ‘19 is the introduction of the Comments Log, enabling employees to keep relevant conversations within Sugar. Available with both custom and out-of-the-box modules, the comments log gives users the ability to collaborate and contribute their customer knowledge in one place. Real-Time Business insights – SugarCRM understands the importance of efficiently utilising stored data and ensuring that reporting is streamlined and simple. In Winter ‘19, users can download any report type to a CSV file, adding further flexibility to how business insights are gathered, processed and digested. Product Catalog Quick Picks Dashlet – SugarCRM’s continuous investment in CPC capabilities is highlighted with a brand new dashlet. The Product Catalog Quick Picks dashlet provides users with their most recent and frequently-used products, offering a more efficient sales process. Business automation – Advanced Workflow allows users to drive automation into all aspects of customer operations. Winter ‘19 includes significant improvements to Advanced Workflow, with the added ability to automatically create and update multiple related records, and the capabilities to generate constructive and actionable feedback as part of process design.